Supermarket Christmas campaigns: This means war! The Christmas marketing war among Britain's retailers increasingly features a central battle between John Lewis and Sainsbury's. Both have launched talkable, even controversial, campaigns for this year. Sainsbury’s and John Lewis both chose to include a charitable element to their Christmas campaigns this year, with the former supporting the armed forces and the latter supporting wildlife. 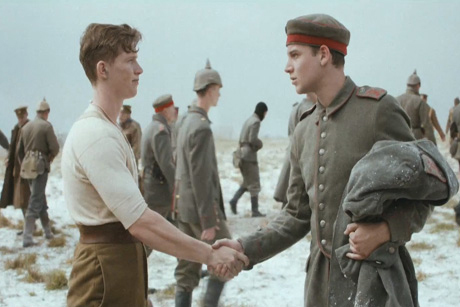 While John Lewis has enjoyed positive coverage on social media and in the press, Sainsbury’s campaign has divided opinion with its vivid depiction of the famous 1914 Christmas Day football match between the trenches. A sentiment analysis study for PRWeek by Talkwalker reveals that, on social media, the Sainsbury's campaign is gaining positive coverage, with 50 per cent of posts broadly positive and only 16 per cent negative. But traditional media coverage of the campaign is split evenly, with 33 per cent of the coverage positive and 33 per cent negative, with the remainder neutral. Talkwalker also measured general social media sentiment towards Sainsbury’s without reference to the ad at only 25 per cent, which shows that, even with the controversy, the supermarket's Christmas campaign has doubled the positive sentiment towards it. Its analysis of the comparative reach of both campaigns shows that the John Lewis campaign garnered 18,300 social media posts on the day following its launch on 6 November while there have been 17,000 posts about the Sainsbury’s campaign since last Wednesday. The Advertising Standards Authority said it had registered 240 complaints about the three-minute film at the heart of the Sainsbury’s campaign, with many of the complainants furious at the use of the First World War as a marketing vehicle. The ASA said more complaints were still coming in and that it would decide whether to launch an investigation next week. By comparison, the less controversial John Lewis film has garnered just one complaint, from someone who believed it would encourage people to think they could buy a real endangered Adelie penguin. Commenting on the Sainsbury’s initiative, Chris Rumfitt, founder of Corporate Reputation Consulting, says: "There is a risk of ‘ideas of grandeur’ by equating a sales campaign with one of the most significant moments in human history. However, in this year, of all years, with the centenary of the war and the poppies at the Tower of London, if it was ever going to feel right then this was the time. The execution was good and it has achieved the balance between reality and sentimentality so the benefits outweigh the risks." 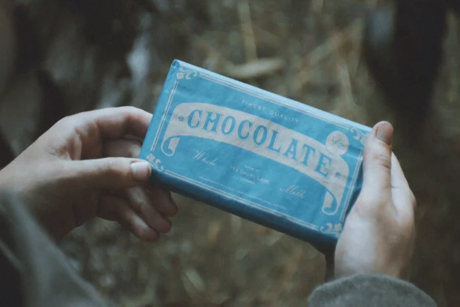 Profits from the sale of the chocolate bar featured in the Sainsbury’s campaign will go to the Royal British Legion, which was also involved in the production and research of the film. Sainsbury’s estimates that approximately £150,000 has been raised for the charity so far, and it expects to raise around £500,000 by the end of the Christmas trading period. It could mean a bumper year of fundraising for the RBL but the rewards also come with risks. "Charities do have to be cautious when they link up with a big commercial brand that issues are handled with the right level of sensitivity," warns Vicky Browning, director of CharityComms. "To do this, they need to make sure they have enough editorial input and control, otherwise they're effectively handing over their brand to the commercial partner." For some, the partnership with the RBL makes Sainsbury's bullet-proof to criticism. However, although there is thought to be disquiet among some military charities at the commercial use of the war, few will break ranks to criticise it openly. "It’s wrong," says Al Sutton, co-founder of the charity Troop Aid. "It was a war and people were being killed. Sainsbury’s would have been better off with penguins." Sutton pinpoints one of the key reasons why Sainsbury’s has come in for criticism: the Great War is an emotionally charged subject that divides opinion. "Many viewers remember family members who fought in the war, which creates a personal emotional investment," says Rebecca Scully, managing director at Smarts Illuminate. "Tapping into personal experiences is always a risk because individual interpretations and ideas of appropriateness vary so considerably." For Sainsbury’s, an added complication are media reports that it plans to demolish a memorial war stadium in Bristol, built to commemorate First World War veterans, to make way for a superstore. Inevitable charges of hypocrisy are being levelled at the supermarket for using the war on one hand and showing a lack of respect for the dead on the other. Sainsbury’s denies it is planning to remove the war memorial and said it intends to preserve it as well as creating a new square dedicated to the honour of the fallen. But the genie is already out of the bottle and some have already made an indelible connection between the Christmas campaign and the Bristol superstore. Scully wonders if, once the truth emerges, this will be an example of lack of communication between the supermarket’s marketing, comms and operational departments. "It goes without saying that this is potentially very damaging for Sainsbury's," she says. "While the brand has received negative feedback about the advert, it has also received a huge amount of positive feedback and liking or not liking the advert is ultimately subjective. Hypocrisy is less subjective and unless an issue like this is handled quickly and positively, the damage to a brand can be long-lasting." John Lewis said that it is supporting WWF’s ‘adopt a penguin’ scheme as part of its campaign and that the charity has received 50,000 page views as well as pledges for 1,230 adoptions. 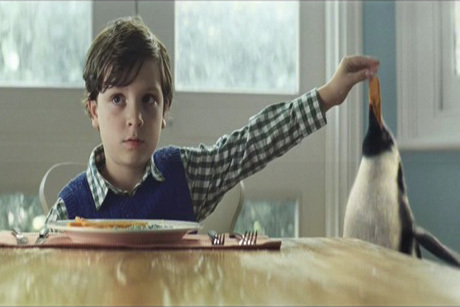 "Even though, at their heart, both adverts have equally commercial objectives, the fact that the John Lewis ad has a life beyond TV and customers can actually go and visit Monty’s Den and buy Monty merchandise suggests that it is likely to be particularly successful for both the charity and the store," says Scully. Scully adds that John Lewis is still risking its reputation by using an endangered penguin as one of the stars of its film and that it would only take one claim of animal testing or environmental damage for the brand to come under fire. She says: "Both Sainsbury's and John Lewis have been brave – producing adverts that include very little branding and little or no product references. Instead they tap into our emotions and our idealised concept of Christmas and its focus on love and peace. In many ways Sainsbury's has been the braver of the two, choosing the more emotive and personal subject matter." Meanwhile, Tesco and M&S have opted for more traditional Christmas messaging. Tesco, which has had one of the worst years in its history, has taken a safety-first approach with an unobjectionable film about Christmas lights. M&S has produced a film with a crisp feel and a good soundtrack using the idea of fairies granting Christmas wishes to people. Neither has the slightest whiff of controversy but, for them, the risk is not in arousing negative public opinion but the greater crime of not being noticed at all. "The danger for them is that they are in the background and nobody is talking about them," says Rumfitt. "You don’t want to go down the road of imitation but, equally, you don’t want to be forgotten because that is not the place you want to be at Christmas." So the battle for hearts and wallets is on and John Lewis appears to be winning the war, if reach and sentiment are good indicators. But Sainsbury's is also fighting a stiff rearguard action as well as providing a lesson in alchemy by turning the lead-shot of media criticism into the pure gold of positive public sentiment. Robert Glaesener, chief executive of Talkwalker, says: "Media condemnation seems to contrast with popular affirmation, with a much more positive reception from social media users than social media news. The ad has also had a massive effect on Sainsbury's social popularity, doubling the number of those who regard the brand favourably." How do you solve a problem like Tesco? Christmas trading figures: Did the big retailer campaigns deliver?